Regardless of age, race, or creed, more often than not some female comic book characters are far more popular than some of the others. Whether a villain or a hero you most probably have a favorite female character of your own, and besides, what actually makes a good comic book character? Well, I suppose someone that looks cool would be a good place to start! Next, she must have a set of superpowers that makes her stand out from the crowd, complemented by a cool-sounding name that rolls off the tip of your tongue. Funnily enough, if you visit an online gaming site, like Plush Casino for example, you can play online casino games themed around cool-sounding characters, such as Agent Jane Blonde and Koi Princess. 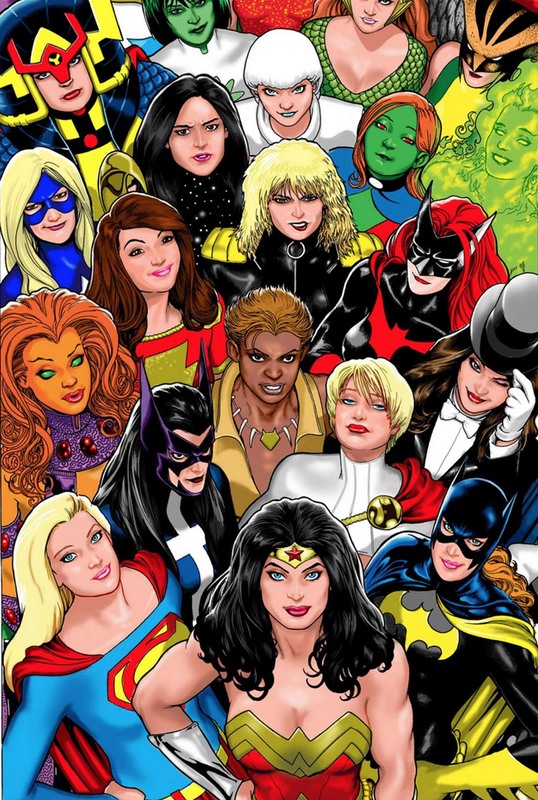 Either way, here’s a look at some of the best female comic book characters that fit the bill. Marvel’s X-Men series is chock full of cool female characters that fans just adore. Rogue would have to be at the top of the list, because she's enigmatic, powerful, a great street fighter, and beats many of her fellow X-ladies in the popularity stakes. She also has the power to steal other people’s powers, and has grown so popular that she's become a regular member of both the X-Men and the Avengers. There is a mystery surrounding her birth, though, and it is impossible to read her mind. There are also a number of people who are immune to Rogue’s draining touch, like Loki for instance. 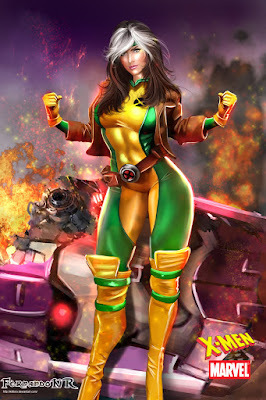 Still, whether as the fiery comic book badass or the Goth girl of the movies, Rogue’s popularity always seems to endure. Another popular female X-Men character would have to be Mystique, Rogue’s adoptive mother. She's a shape-shifter, which is a fascinating ability, has a very unique character design, comprising of blue skin, yellow eyes, and striking red hair, plus she's also a super-villain that has an ambiguous relationship with her daughter. In 2009, IGN ranked her as the 18th greatest comic book character of all time, which I have to agree with, although some of the other X-ladies on my list would include Storm, Jean Grey, Scarlet Witch, Emma Frost, and Kitty Pride. If you’re looking for a cool female character to follow in the X-Men universe, go on, check these women out. Now let’s take a look at some of the best female characters featured in the DC Universe. At the top of the list would have to be Batman’s mistress of madness, Harley Quinn, because she's a classic crazy super-villain who's adopted a range of clownish yet violent antics. She wasn't always this way, though! Earlier in her career she was a budding blonde psychiatrist, eager to cure the world, until one tragic day she crossed paths with the Joker and he turned her world around. Even so, Harley's violent nature still shows some moments of compassion, like her romantic relationship with Poison Ivy, for instance, or when she went out of her way to stop Ivy from killing the Batman.